Имате въпрос към OYO 10184 Hotel Sagar Residency? 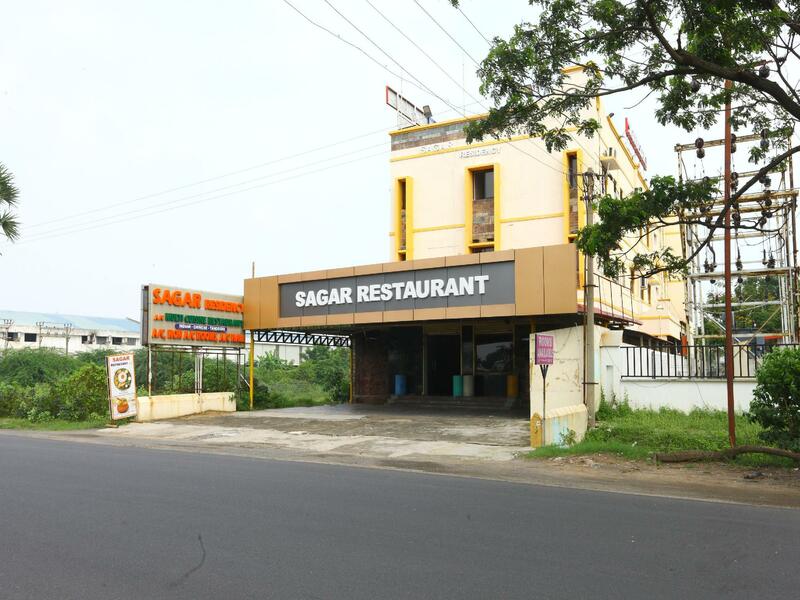 OYO 10184 Hotel Sagar Residency, located in the Pondicherry - Cuddalore ECR Road area, is a popular choice for travelers. From here, guests can make the most of all that the lively city has to offer. With its convenient location, the property offers easy access to the city's must-see destinations. OYO 10184 Hotel Sagar Residency offers impeccable service and all the essential amenities to invigorate the weary traveler. To name a few of the property's facilities, there are free Wi-Fi in all rooms, 24-hour room service, daily housekeeping, 24-hour front desk, room service. All guestrooms feature a variety of comforts. Many even provide mirror, towels, internet access – wireless, fan, internet access – wireless (complimentary) to please the most discerning guest. The property's host of recreational offerings ensures you have plenty to do during your stay. Discover an engaging blend of professional service and a wide array of features at OYO 10184 Hotel Sagar Residency. Walked away from a fully paid booking as soon as possible without refund. Yes it was that bad. Don not book Oyo through agoda., They don't even hear your concerns and ask you to talk only to Agoda. Makes matters worse in a state with different language and especially like me if you check in late at night. Called Oyo multiple times in the middle of the night to no avail. Stinking loos Stained bathrooms and sheets Staff who doesn't give a damn Cold tea...I can go on. The room given to us was stinking so much I puked. The stench kept wafting into the room all night. I asked to change the room and request was just ignored.